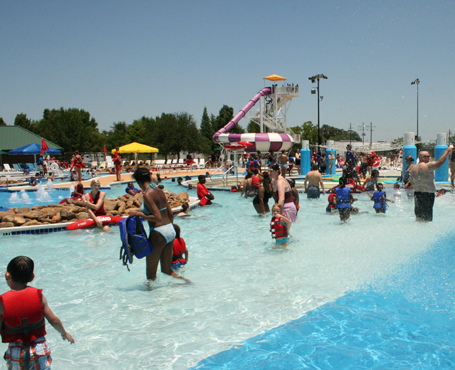 After conducting a facility audit on seven outdoor pools in East Baton Rouge Parish, Counsilman-Hunsaker was retained by the Parish to conduct a Feasibility Study to advise them on how to proceed with options that would stimulate activity, maintain a high profile for community amenities, and to recover costs. There were several public meetings that the BREC Commission held to get input regarding the future of aquatics for the citizens of East Baton Rouge Parish. Kimley-Horn and Counsilman-Hunsaker were involved in these meetings and shared ideas with the public. This input was used to develop the final Master Plan. To meet specific demographic and marketplace demands for aquatic recreational experiences, the team developed several options and associated project costs for consideration and review. Pleased with the results from the study, the team was once again retained to design the new Liberty Lagoon located in Independence Community Park.